Most all animal lovers have heard of the No Kill Revolution. But do you truly know what No Kill means? Just like with everything else in the United States right now, people are divided on the No Kill issue. Some are vehemently opposed to the No Kill label. Others are exuberantly in favor of it. Even among those of us in the animal rescue world. I personally like to work with a shelter that deems itself No Kill. I also feel that some, maybe most, of those who are opposed are just uninformed on the subject. I’ve listened to their arguments, and most of the time they are arguing a point that isn’t even an issue. They believe that No Kill means that there can be no euthanasia, no matter what. No Kill isn’t about forcing animals to suffer, either from sickness, or un-adopt-ability. Yes, sitting in a kennel for the rest of their lives is suffering to those animals who are deemed un-adoptable because of behavior issues too. Not just health. No Kill means that animals are put down due to space, or time limits. 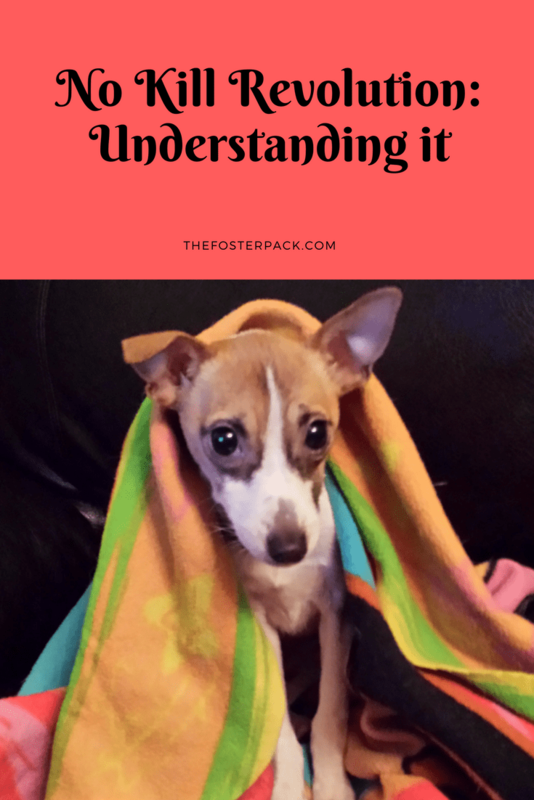 It means that all healthy adoptable animals aren’t put down, simply because there the shelter is filling up, or because they’ve been there for a certain length of time. There are still many government run animal “shelters” in the country that still do this, even when space is available. Although it’s a lot less than there were twenty years ago when this was just standard practice. In some cases, it’s only humane to euthanize some animals. Ones that are suffering, and aren’t going to get better. Both from sickness, or unchangeable behavior problems. Some animals simply won’t get to the adoptable point, behavior wise. Whether from being feral, abused, and many other reasons. It’s far more humane to euthanize them than to force them to spend their whole lives locked up with little human contact. No Kill is about reducing the animal populations in each area by making available low-cost spay and neuter programs. Thus reducing the animal population in the first place. TNR, or Trap, Neuter and Release, for feral or community cats, is another great way to reduce animal shelter populations and intake. Programs like this trap feral cats, spay and neuter them. They also give them vaccines and tip their ears, then return them (if they aren’t friendly enough to be adopted out) to their colonies. This prevents skyrocketing populations from these community feral cats, allowing the current generation to live out their lives. But no to continue to reproduce. Implementing pet retention programs, saving animals from being surrendered to the shelter in the first place, is another great program associated with the No Kill Movement. Some as simple as Pet Food Food Banks, that help those who can’t afford to feed their pets. Others include behavior evaluations and training classes, along with more. Although some think that being a No Kill shelter or rescue is just getting the numbers right. 90% live release rate, is often what people think it means. It’s more about not killing for killing’s sake. It’s about not putting down healthy and adoptable pets, for any reason. The key word being adoptable. Want to learn more about the No Kill Revolution? Check out their website here. I’d recommend downloading the e-book NoKill 101. Is your community No Kill?